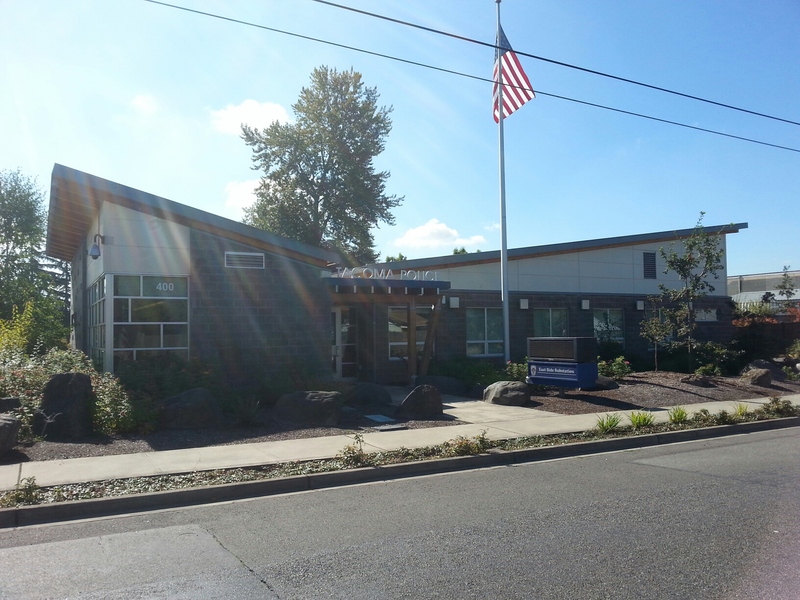 The Sector 4 substation is located at 400 East 56th Street at the entrance to Stewart Heights Park and is staffed by a Sector Lieutenant, four Community Liaison Officers (CLOs), and a dedicated group of citizen volunteers. Numerous citizen and community groups also utilize the public meeting room that is scheduled through our volunteers. The geographic area of service is: I-5 to the north, the Pierce County boundary to the east, South Sheridan and South 84th-Hosmer Street to the west, and South 96th Street to the south (see the Community Policing Division main page for a map). CLOs are assigned to four districts within the sector and work collaboratively with officers from other sectors and many other law enforcement agencies. Sector personnel including Patrol and specialty units take pride in serving a population of nearly 60,000 citizens in one of the most diverse areas of the city. The Sector Lieutenant and CLOs attend numerous community and block group meetings as well as Neighborhood Council meetings in order to hear from residents and to partner with addressing a myriad of issues and concerns. Sector personnel focus on a wide variety of crime reduction strategies simultaneously utilizing short term responses while applying long term strategies with the goal of reducing calls for service and reported crime and addressing quality of life issues. CLOs are knowledgeable and have experience in employing various crime prevention strategies that include Crime Prevention Through Enviornmental Design (CPTED), providing neighborhood safety information, and informing citizens of recent crime trends and patterns. The Lincoln District Alcohol Impact Area (AIA) has proven to be an effective strategy in addressing public consumption of specific banned products and related nuisance and criminal activity. Along with partnering with citizens, sector personnel work closely with other city departments and many outside organizations both public and private. Within Sector 4, there are many parks, neighborhoods, schools, religious organizations, and business districts each contributing to the unique feel and appearance of Tacoma's east side. The Lincoln Business District Revitalization project is one example of a private and public partnership transforming a vibrant and culturally diverse area of town. Sector personnel participate in numerous community event throughout the year and focus on youth engagement. Some of the events include various ethnic festivals and New Year celebrations, street fairs, Metro Parks activities, school assemblies, and neighborhood events such as National Night Out. The substation also hosts city-wide community events as well as visits by school children and civic groups. Volunteers staffing the lobby direct citizens to appropriate resources within the Tacoma Police Department and to outside agencies. The 3-1-1 system is a primary conduit for reporting neighborhood and community concerns of all types. The Police/Fire non-emergency number (253) 798-4721 is also an effective means of reporting issues. To report a crime in progress, call 911.